A collection of 17 stand-alone short stories, where an ordinary person takes on an extraordinary journey to a new life, discovering facets and strengths they never knew they possessed. Across a variety of time periods and settings, they capture Anna Jacobs' unique style and showc... read full description below. This collection of stand-alone short stories is a treat for new readers and dedicated fans alike. In each of these 17 stories, an ordinary person takes on an extraordinary journey to a new life, discovering facets and strengths they never knew they possessed. Across a variety of time periods and settings, these stories capture Anna Jacobs' unique style and showcase her mastery of emotional tales. 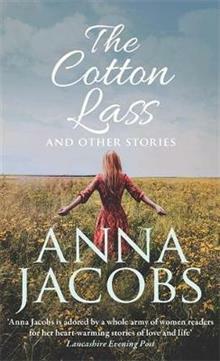 The collection includes: The Cotton Lass: Widow Sarah is struggling to make ends meet as England suffers from the cotton famine brought on by war in the United States. Will the opportunity to move to Australia provide a new life for her? Sunshine and Parrots: Penny has moved to Perth, Australia to be closer to her brother. She finds herself attracted to her handsome new neighbour, Matt, but will a series of misunderstandings keep them apart? Going Out in Style: Mrs Kelly is widely acknowledged as uncooperative and a trouble maker in her nursing home, but forms a bond with Raelene, a young woman doing community service at the home. Their friendship will transform them both. Anna Jacobs is the author of over eighty novels and is addicted to storytelling. She grew up in Lancashire, emigrated to Australia in the 1970s and writes stories set in both countries.